Nadella: "I wish there was something I could do to make you smile again." Microsoft is ready to reveal more about its new plan, Stan. Get set to download the latest Windows 10 preview -- the release date is expected to be today, right after Microsoft's 'big reveal' event. So hop on the bus to Redmond, Gus. Ready to get yourself free from XP? In IT Blogwatch, bloggers don't need to discuss much. Microsoft is expected to show off a new preview of Windows 10 [today]. We expect to see a PC version of the Cortana digital assistant...more graceful integration between the desktop and mobile iterations of Windows [and a] new web browser. ... Microsoft is also expected to talk about Windows Phone 10. I remain unconvinced that Windows users are going to chatter away to a Cortana-enabled Windows PC as much as they do to a mobile phone. ... Cortana will almost certainly take over many of the search functions within the operating system. ... I’m especially hoping to see Cortana tied closely to Action Center notifications shared between...Windows 10 and Windows Phone. ... Microsoft’s “Spartan” sounds like an interesting beast: a do-over, essentially, of Internet Explorer. ... Microsoft may dive deep into the guts of Windows Phone 10, but I’m not holding my breath...it’s not really clear whether Microsoft plans to hold Windows Phone 10 to the same timetable as Windows 10 itself. [But] I think we’ll hear something more on the subject. January 21, is Microsoft's second "big reveal" event. ... The "Windows 10: The Next Chapter" event...in Redmond will provide Microsoft with a showcase for its Windows 10 mobile operating system [and] its touch-first/Windows Store version of Office. The biggest takeaway Microsoft is hoping to deliver...is that Windows 10 is built on a single, common "core" (known internally as "OneCore") that will work across...phones, tablets, PCs...Perceptive Pixel...and ultimately, Xbox. ... In addition to the OS kernel, OneCore also includes the...DLLs, application platform layer and other pieces. ... Microsoft's pitch to developers:..they can target the same core environment with..."Universal" apps [which] will be available in a single store. I can't remember an hour in the last several days when yet another "what to expect"...article pops [up]. I'm taking all of them with a grain of salt, and you should, too. Microsoft’s stock is at a near 15-year high. 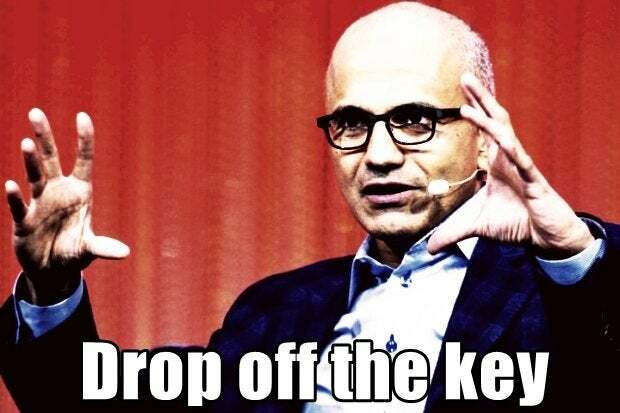 [CEO Satya] Nadella has refocused the company on services and made many of Microsoft’s key properties — including Office — truly cross-platform. The PC industry has also had a few good quarters. Another possible big feature is called Continuum, which allows users to pick up what they were doing as they switch between PC, tablet, and phone. ... It sounds similar to Apple’s Handoff feature or Nextbit’s projects on Android phones. ... Of course, long-time Windows users are loyal to the Start menu. And, according to leaked screenshots, “Start” is making a comeback of sorts. FBR & Co.’s Daniel Ives today reiterates an Outperform rating on the company’s shares, writing that [Windows 10 is] a “key component” of the company’s strategy. Each time there’s a new version of Windows, Microsoft bills it as “the best Windows yet," [but] each time Microsoft tries to really stretch itself and push the development envelope on Windows, it backfires. ... The Microsoft cadre building Windows 8 deliberately pushed aside dissenting voices [so] Microsoft got stuck with one of the least wanted versions of Windows in its history. Before that, Windows Vista was the pariah. In both cases it has been Windows 7 that has saved Microsoft’s bacon. [In Windows 10] the hated immersive UI experience that dropped you into the Metro world is gone and the desktop environment is back. ... "Metro-looking" apps can be run in the desktop environment and tweaked and resized as you’d expect. ... And the familiar Start [menu] is back. HP's $199 Windows notebook vs. Chromebooks: FIGHT!